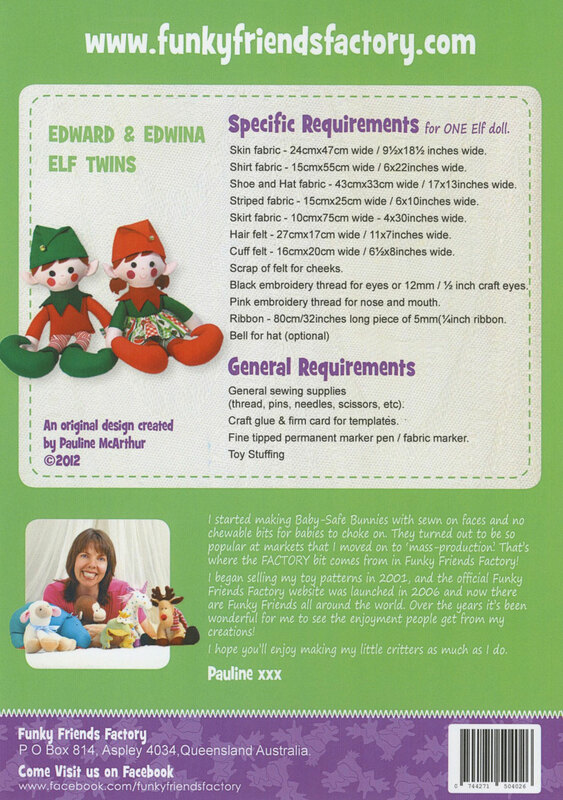 Pauline had so much fun making Edward, that when she was done she made a little girl Elf Edwina. 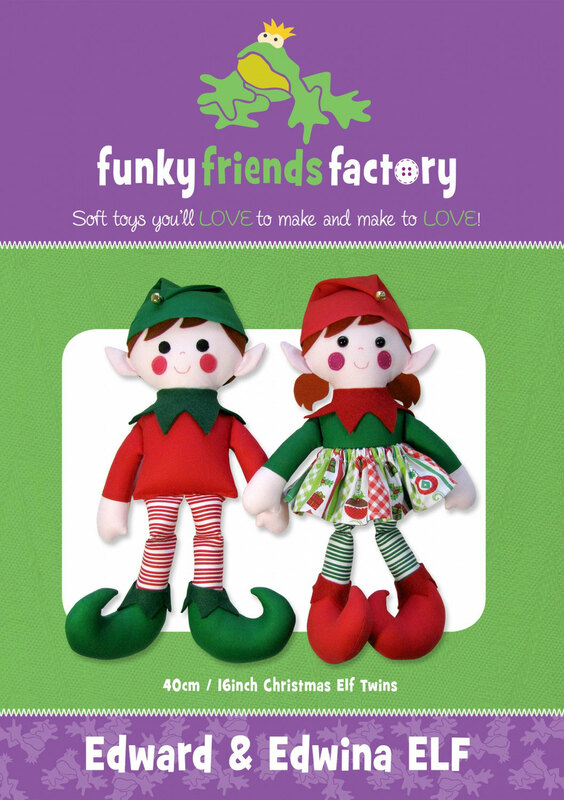 They'll look awesome in all sorts of Christmas prints so get festive and mix and match to make your own Christmas twins! 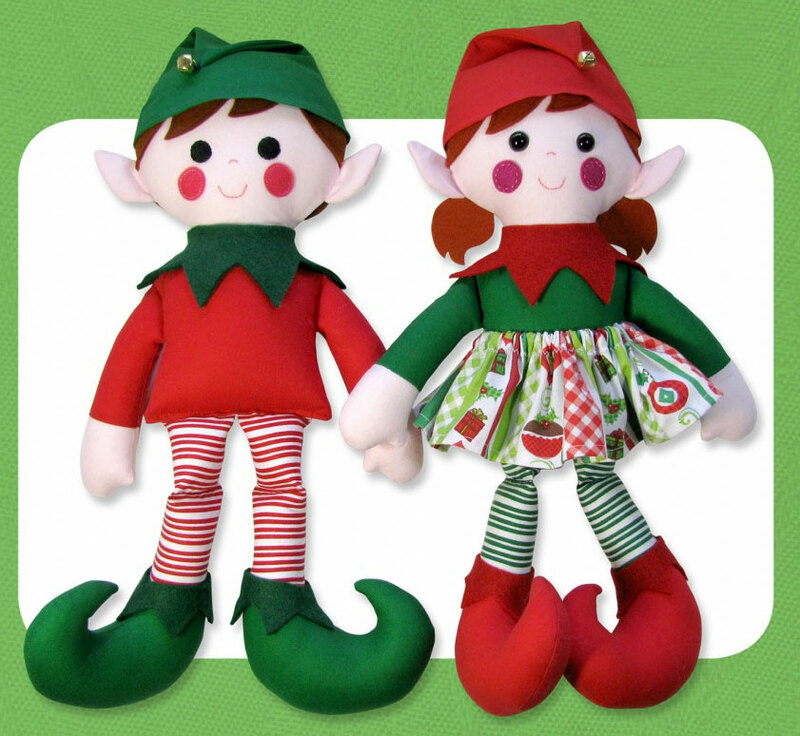 Homespun / cotton fabric has been used for making the Elves and felt is used for the face pieces.